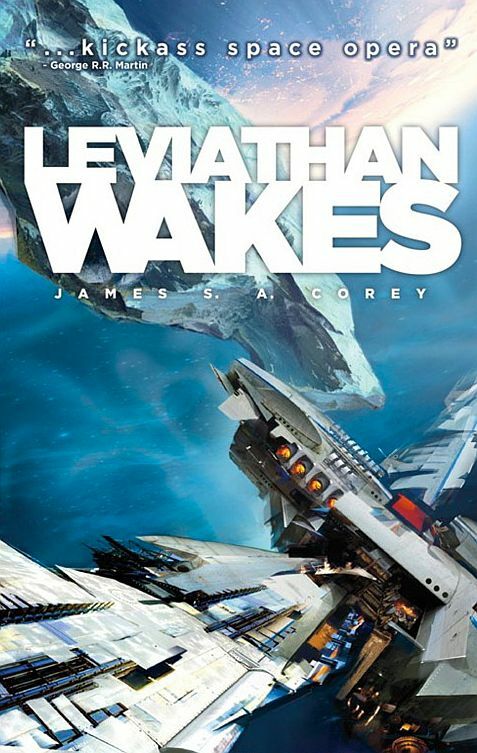 The first in the Expanse series by James S. A. Corey (the pseudonym for writing duo Daniel Abraham and Ty Franck), Leviathan Wakes is pure action-oriented space opera with a heavy dose of detective noir. It is split into two ongoing narratives, told from the perspectives of Jim Holden, the executive officer of a mining-class ship, and Detective Miller, a cop on one of the mid-system space stations. Of the two, I definitely liked Jim Holden’s sequence far more. It has much more action to it, and a very real sense of danger to it, given that Holden keeps getting into some really tight scrapes that he has to fight out of. Miller’s sequence was, in short, rather boring. There was little to excite in his narrative and Miller’s monologues really turned me off from the character. There was also an abrupt shift in his character portrayal mid-way through the novel that left me scratching my head. I might have missed any early signs but it was as if Miller abruptly turned into an alcoholic without any setup. The larger story, involving a derelict ship, a missing woman, interplanetary war, revolution, and mass murders, is quite interesting and the denouement/pay-off is written well, but the road to that is often very dreary. One such example is when Holden and Miller team-up on one of the space stations and are attempting to halt the mass murders and interplanetary war from breaking out. The descriptions of the… murder agent really did put me to sleep and I had to slog through the novel at those times. Whenever the narrative involves Holden, the pace is excellent. When it comes to Miller, it often plods along. It was as if I was reading two entirely different narratives. The two characters are brought together really well, but at times it was all just too convenient. The conflicted tone of the narrative didn’t help either. The science aspects of the novel are very good and it’s all very convincing in its detail and effect, but nothing that particularly stands out. It all adds to the space opera nature of the novel, nothing more. The politics of the solar system are also cast in the same vein: it’s the usual spacer versus earther attitudes and mentalities that we’ve already seen before in a ton of space opera fiction. It was all disappointing in the fact that it’s all so… commonplace. I didn’t feel a sense of uniqueness in any of it. At best, I’d say the novel is uninspired and lacks originality. Some of the characters such as Holden and his crew, are portrayed well, but those like Miller and his cop buddies are, at best, serviceable. I’m interested in picking up the second novel, Caliban’s War, but I’m quite hesitant about it. We shall see. Posted on December 23, 2012, in 2012 Reading Challenge, 2012 Writing Challenge, Book Reviews and tagged Advent Reviews, Book Review, Daniel Abraham, James S. A. Corey, Leviathan Wakes, Science Fiction, Solar System, Space Opera, Spaceships, The Expanse, Ty Franck, War. Bookmark the permalink. 4 Comments. Sorry to hear this one didn’t work out for you, I really enjoyed it! I loved Holden’s crewmates, and felt they were pretty well developed. The book isn’t a perfect ten, but I had a great time with it and am looking forward to reading more in the series.